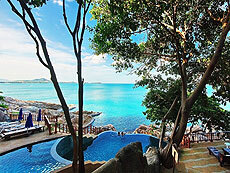 Baan Hin Sai Resort is located on the eastern coast of the island, between Chaweng and Lamai beach. 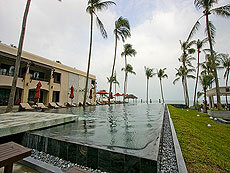 The resort is built on the hillside, offering beautiful natural surroundings and superb views of the ocean. 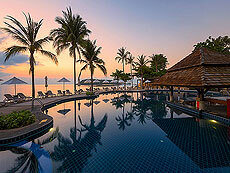 The resort has comfortable rooms and villas, stepped pool, outdoor spa with a panoramic sea view. It is not in a convenient location, but a free shuttle service to/from the downtown is available. 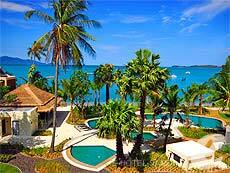 Opened in 2008 in Bophut Beach, Ibis Samui Bophut is a reasonably priced beach resort brand of the Accor Group. 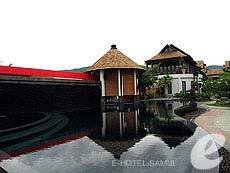 The hotel offers a total of 258 rooms in two categories; Standard and Family rooms. The rooms are a bit small, but functional and comfortable. 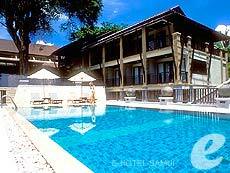 The hotel is suitable for individual travelers as well as for families and groups. 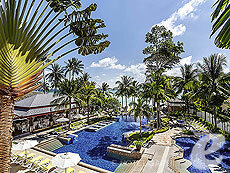 The Sheraton Samui Resort a beach resort hotel located at Chaweng Noi Beach, south of Chaweng beach. 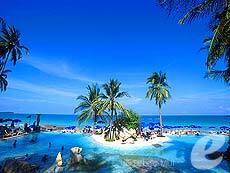 It is only five minutes in the car to Chaweng beach, giving easy access to downtown. The hotel does not only have a sea water swimming pool, but facilities such as restaurants, a spa and tennis courts are available. Recommended for families and group visitors due to the number of connectable rooms. 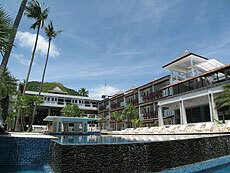 Opened in 2004, Iyara Beach Hotel & Plaza is located in the northern part of Chaweng Beach. I t has many types of rooms such as sea view rooms and cottage style rooms. 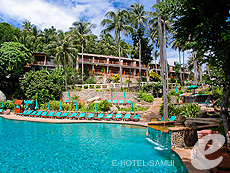 This is a popular affordable hotel with great facilities including a beachfront swimming pool. 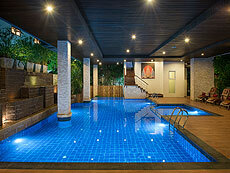 Just a minute’s walk away from the center of Chaweng, the hotel offers easy access to shops, restaurants and bars. 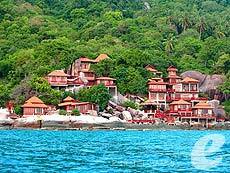 Koh Tao Coral Grand Resort is located on the west coast of Tao Island, quiet part of Sairee Beach which is popular with backpackers. Charming hexagonally shaped cottages are set on the beach side. 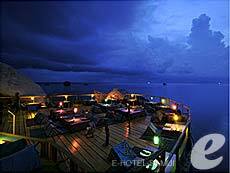 The resort also offers all PADI dive courses and daily trips. 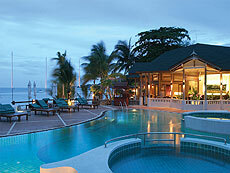 Enjoy a luxurious resort setting and great diving opportunities. 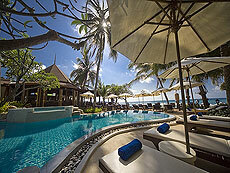 Le Paradis Boutique Resort & Spa is located right in the heart of Chaweng beach. 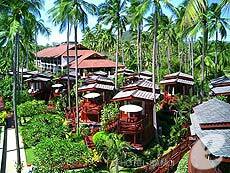 This is a hideaway surrounded by lush tropical vegetation. 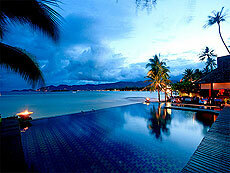 It offers 26 Thai style villas with privacy and peace. 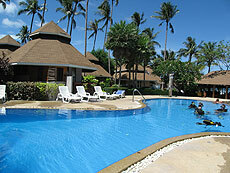 The resort lies directly beside the beach, and just a 5-minute walk from the center of town. 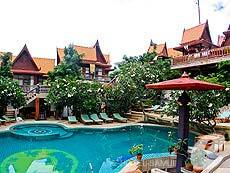 Conveniently located in the center of Chaweng Beach, Montien House is a boutique resort with 60 guest rooms. It offers a homelike and friendly atmosphere. 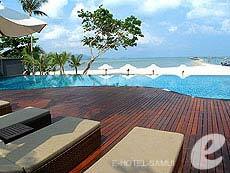 The beachside swimming pool has panoramic views of Chaweng beach. Just a minute’s walk to downtown Chaweng, there are many restaurants and shopping venues near the hotel. 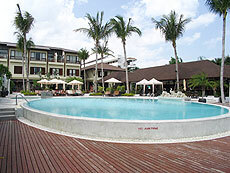 Nora Beach Resort & Spa opened in 2004 on the north of Chaweng Beach. The rooms and villas are set on the slope of a hill overlooking the beach. A small stream flows through the lobby and between the guest villas. All villas feature a bathroom with a large window and a private garden with an outdoor shower. Chaweng is just a few minutes free shuttle ride from the hotel. 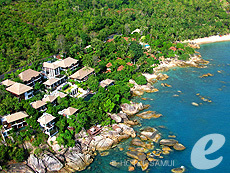 Sensi Paradise Beach Resort is located in a quiet area, in the southern part of Mae Haad Beach, one of the most popular beaches in Koh Tao. 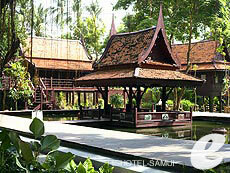 The traditional Thai-style wooden bungalows have a warm atmosphere. 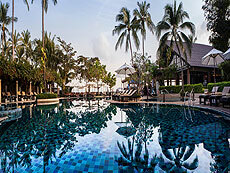 There is no swimming pool in the hotel, but ideal for divers as it is located near Mae Haad Pier. 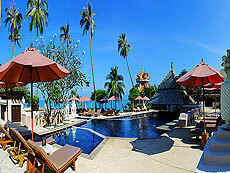 Tango Beach Resort is located in the northern part of Chaweng Beach. 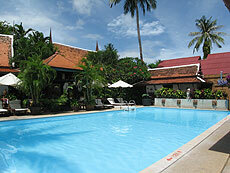 The hotel is in a quiet area, but just a few minutes drive takes you to the center of Chaweng. You can enjoy the tranquility of the hotel, and lively atmosphere of the town. 2-Bedroom family suites can accommodate up to four people, and are ideal for families or small groups. The junior suites with mezzanine are recommended for couples. 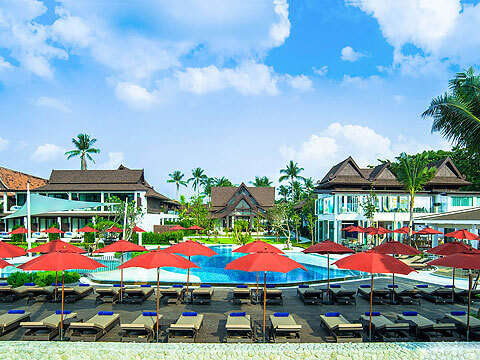 Opened in 2004, Thai House Beach Resort is a medium-sized hotel with 14 Thai-style villas and 46 luxurious rooms. It is conveniently located in the center of Lamai Beach; a number of shops and restaurants are within easy walking distance of the hotel. 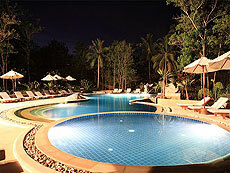 The White House is ideally located on secluded beach of Choeng Mon. All rooms have sitting area to relax. Junior Suites are generously spacious and located near the beach and swimming pool. 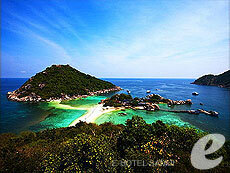 Chom Dao and Chom Duan Suites are highly recommended for honeymooners. 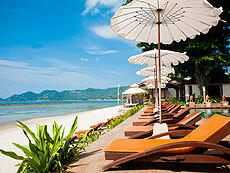 Weekender Resort & Hotel is centrally located in Lamai Beach. After the renovation in 2017, the hotel offers modern and stylish rooms. Shops, restaurants and the beach are all within walking distance.